When the Paris climate agreement was concluded in December 2015, almost all of the world’s countries committed to limit global warming to well below two degrees Celsius relative to pre-industrial levels and have submitted ‘intended nationally determined contributions’ describing how they will either contain or reduce emissions over the next decade. Global investment in renewable power now far exceeds investment in fossil fuel plants – battery costs are falling and electric vehicle sales are rising. Even in President Donald Trump’s America, coal-fired power stations continue to close. But despite this progress, the latest report from the Intergovernmental Panel on Climate Change (IPCC) contains a chilling prediction: on current trends, the world is heading towards three degrees Celsius of global warming by 2100, a level not reached for more than a million years. The harm to human welfare is likely to be catastrophic. 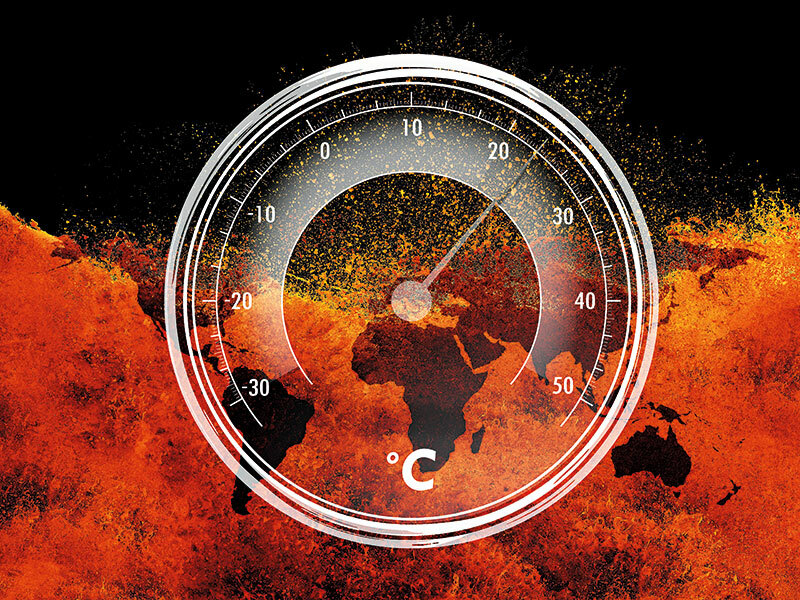 The IPCC report makes it clear that the ideal target should be to limit warming to 1.5 degrees Celsius. Above that level, the adverse consequences become ever more extreme. But to achieve that goal, global carbon dioxide (CO2) emissions would have to reach net zero by about 2055 – or earlier still if, as is unfortunately inevitable, emissions remain at current levels for several more years. The precise figures for acceptable emissions from power stations, industrial plants, transport networks and heating systems depend on how rapidly emissions caused by land use change – such as deforestation – can be eliminated and how rapidly emissions of non-CO2 greenhouse gases (for example, methane or nitrous oxide) can be reduced. But it’s clear that unless we reach net zero emissions from energy use and industry by around 2060 – and earlier in developed economies – we will have to rely on the risky assumption that land use changes can deliver large negative emissions in the late 21st century. Failing that, warming will rise significantly above 1.5 degrees Celsius. Getting to net zero emissions in just four decades will be a huge challenge. But as a forthcoming report from the Energy Transitions Commission argues, the good news is that it is undoubtedly technically possible and will come at a low cost to the global economy. Moreover, we already know the key technologies needed to achieve this objective. All feasible paths to a low-carbon economy and, eventually, net zero CO2 emissions require a massive increase in the role of electricity. The share of electricity in final energy demand will have to grow from around 20 percent today to around 60 percent by the mid-to-late century, and total global electricity generation will have to rise dramatically, from around 25,000TWh today to as much as 100,000TWh. That electricity must come from low-carbon sources. And while nuclear power and gas generation offset by carbon capture may play a role, the lion’s share will have to come from renewable sources – 70 to 80 percent, according to the IPCC. But there is more than enough land in the world to support renewable expansion on that scale and enough time to make the necessary investments, as long as we act fast. Three other types of technology will also be essential. First, hydrogen, ammonia and perhaps methanol must be used as energy carriers in transport, industrial applications and as chemical feedstock inputs. All three will eventually be produced synthetically, using clean electricity as the ultimate energy source. Second, biomass could provide low-carbon aviation fuel or feedstock for plastic production. The total scale of use, however, will need to be carefully managed to avoid harmful impacts on ecosystems and food supply. Third, carbon capture should have a role, either for storage or use, in key industrial processes such as cement production, where viable alternative routes to decarbonisation are currently unavailable. Building a zero-carbon economy will, of course, require massive investment in power production and transmission, new industrial plants and more efficient equipment. To achieve the 1.5 degrees Celsius objective, the IPCC estimates that the required additional global investment from 2015 to 2050 could be $900bn (€784bn) per annum. That may seem like a startlingly high figure, but assuming three percent annual economic growth, global GDP – which stands at almost $100trn (€87trn) today – could reach $260trn (€227trn) by 2050. This implies that the world needs to invest less than 0.6 percent of its income over the next four decades to avoid potentially catastrophic harm to human welfare. But while a zero-carbon economy is undoubtedly technically feasible and easily affordable, it will not be achieved without strong public policies and forward-looking business strategies. Governments must deliver carbon pricing and product regulation and support key technologies and infrastructures. Meanwhile, companies in the energy-producing and main energy-using sectors must develop strategies focused on how to achieve zero emissions by the mid century and how to begin the transition today. The alternative is another decade of only incremental progress, which will put us on a catastrophic path towards three degrees Celsius of warming within the lifetime of today’s children.